This Charrette took place at an interesting time in the evolution of North Ayrshire Council and public sector activity in the Three Towns. The Council and its Community Planning partners were in the process of moving their service delivery model to a ‘locality’ model and were in the early stages of producing a strategy for future action in the Three Towns Locality with a clear focus on community outcomes. 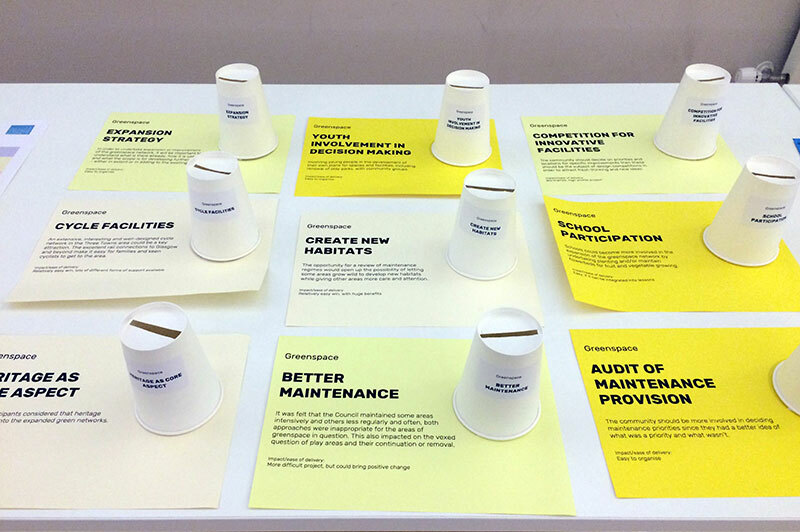 The Charrette was seen as an opportunity to feed directly into this process. The Council’s new budget for 2017-18 included several million pounds allocated to community regeneration work across North Ayrshire as a whole. With a focus on improving opportunities for the Council’s most deprived communities, the Three Towns are likely to be important beneficiaries of this funding, with the Charrette as a mechanism to identify potential priorities and projects. In March 2017, Irvine Bay Regeneration Company’s work was completed and responsibility for the continued regeneration of the Irvine Bay area was transferred to North Ayrshire Council’s Economic Growth Service. This completed nearly a decade of activity in Irvine and the Three Towns, much of it focused on the regeneration of land and buildings. 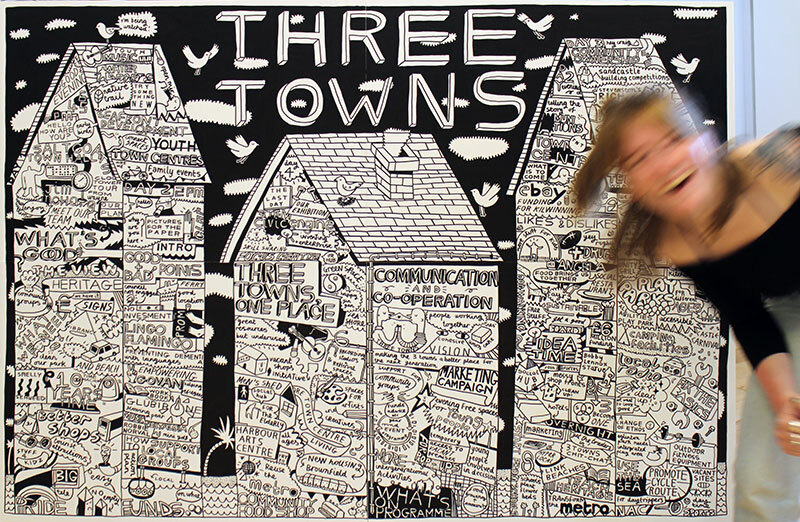 There are a number of other opportunities in the Three Towns. The Scottish Government’s recent decision to retain the Arran ferry in Ardrossan triggered a substantial package of investment in the harbour and its connection to the town centre. 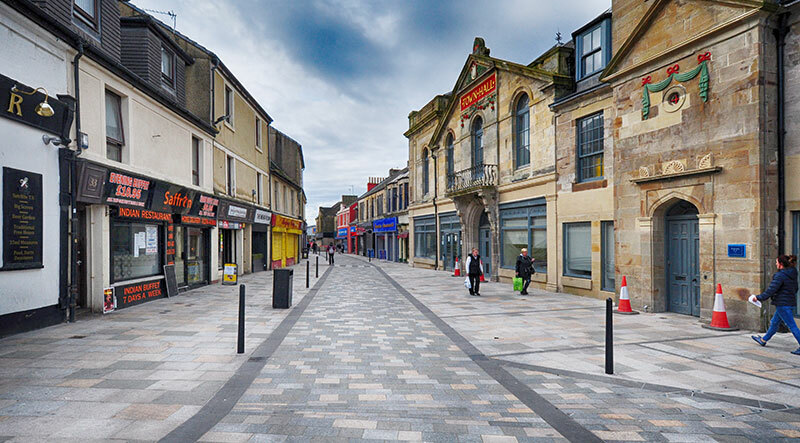 The Council has successfully implemented Participatory Budgeting and “Our Place” Lottery funding is about to release significant sums of money to community-led projects in Ardrossan. Community activity across the area is resurgent, as demonstrated by the Saltcoats waterfront hugely popular Ardrossan Castle Carnival, the reinvigorated Saltcoats Community Council, and the active Community Associations that run community centres in each of the Three Towns. 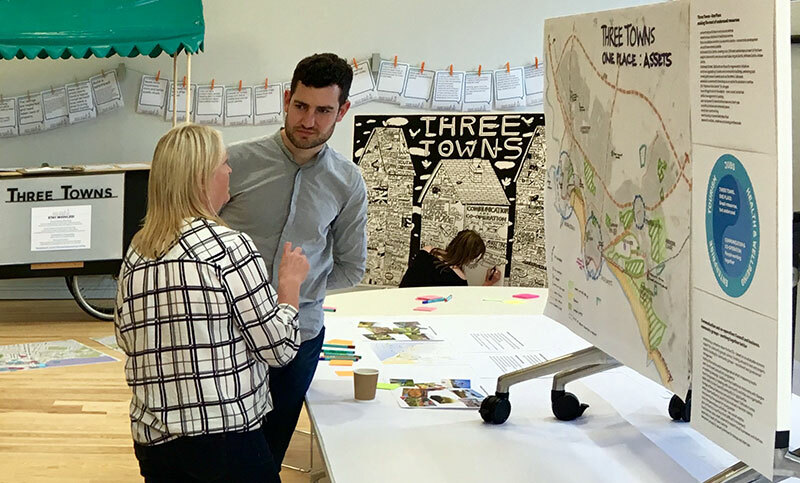 The Charrette therefore came at an opportune moment to explore how best to support what is already happening and how to maximise its potential in delivering better outcomes for the Three Towns. The Charrette drew together the aspirations of the communities in the Three Towns and identified strategic actions and initiatives to be worked up in more detail over the coming years. 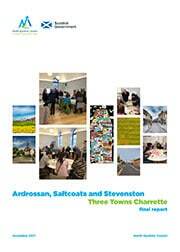 The Three Towns Charrette was funded by North Ayrshire Council and the Scottish Government and was undertaken over four days during 14-19 June 2017. The team was based at Saltcoats Town Hall, Countess Street, Saltcoats. In November 2017, the Council and the project team held a feedback session intended to establish project priorities. The Shoreline and the Town Centres and Hubs emerged as the main priorities. We are grateful to the communities of the Three Towns for their enthusiasm and for the support and effort of North Ayrshire Council during the work.